Apache Hadoop, built by Yahoo for engineers and data scientists, is showing its age. Once praised for its wealth of potential, it's suffered at the hands of swifter products, often from its own ecosystem. 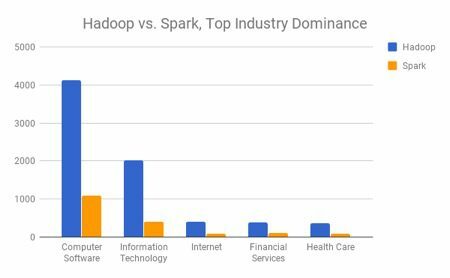 "[Apache] Spark killed Hadoop," H20.ai founder Sri Ambati told Datanami earlier this year. It seems despite success of do-everything competitors like Google and Microsoft, the Big Data space calls for specifics. It's no surprise that a product created for experts would stay in its lane. Spark, however, boasts a meaningful distribution across industries, thanks perhaps to a proliferation of Big Data principles in all kinds of markets. 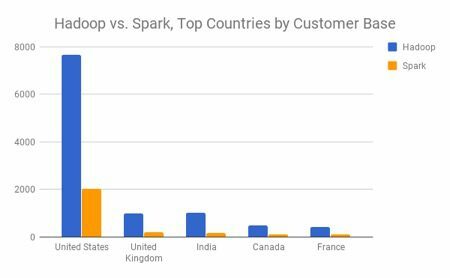 So while Spark may have a wider spread, Hadoop still dominates its intended user base. Nor has there been a proliferation of Spark among enterprise customers. 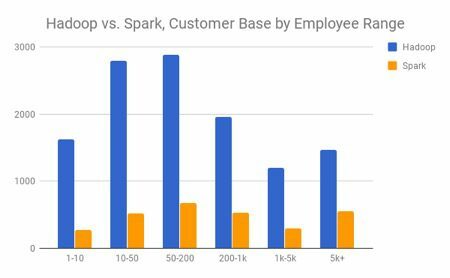 Noting that most companies in the world are smaller-scale (1-50 employees), Spark doesn't appear to be the only choice for companies of any size. It's emerged as a helpful offering to those already using Hadoop, not as a selling point for the product at-large. That said, it's not limited to one kind of customer, as Hadoop may have been a decade prior. Curious about the top players in Big Data, or other hot tech spaces? iDatalabs' system gauges probability that a company is using a certain product. Access these insights and more on over 10,000 tech targeting pages. Further Information on iDatalabs: At iDatalabs we use current and historic data to create predictive models for the future. Crawling both structured and unstructured data points (like job postings, LinkedIn skills, and testimonials) we create a fuller picture of who’s using what tech where. We refresh our system every couple weeks and filter points that don’t meet our standard for accuracy, then build models that improve as they operate.